No one ever got fired for choosing Verizon and using PRIs for telephone service. Until the bean counters started really paying attention to their phone bills and realizing the disproportionate cost difference when compared to “SIP trunking”. Or until a major event happened, like a snowstorm, and phone calls were met by busy signals because not enough lines were available. Some major advantages of SIP trunking are many. For instance, because there are no physical connection requirements (you’re leveraging your IP Network… not getting another circuit that has its own specialized signaling) you will utilize less equipment which results in lower costs. You can easily provide site recovery, again made possible by IP. If you’re site goes down, you just re-route calls to another site. With PRI, you’d have to wait 30 - 60 days to have new circuits installed at the new site. Renumbering services is trivial as you just set the numbers in your PBX (even easier if it’s hosted in the cloud!). With Atlantech Online, calling is unmetered so your variable monthly spend of call plans offered by the ILEC goes away. Unlimited local and domestic long distance calling is the norm when using SIP trunks. Service can be provisioned quickly and often the hardest part of a project to transition to SIP trunking is porting numbers away from the ILEC. Lastly, because there is often an economy of scale with IP networks. whether you’re doing 10 call appearances over SIP trunks… or 10,000… the management of the system is trivial as you don’t have to keep track of all those wires and equipment that result from large capacity requirements with legacy telephone networks. Now, you definitely have a new set of considerations when switching to the newer technology. Because you’re using VoIP and IP networks can be congested at times, it is important to set QoS parameters to prioritize your voice traffic and ensure it’s proper transmission. And because SIP isn’t a “Standard” like Ethernet, it does require working with a partner who is knowledgeable and experienced with integration. You should also give some thought to security since you’re now using “the Internet” and not just a dedicated circuit, though phone lines can be tapped. Provisioning sufficient bandwidth and selecting the right codec will also set the table for clear sound quality over your SIP trunks. Lastly, because the signaling works differently than circuit switched networks, you have different requirements to allow for call recording, audio streaming and E-911 services. 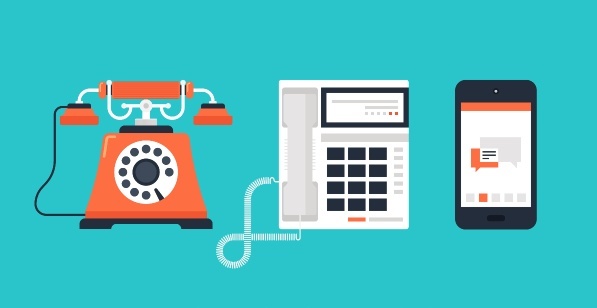 Though PRI still has it’s place in a properly design telephony infrastructure, it has become more of a subsidiary role, like for emergency backup for handling analog device calling, only. SIP trunking is becoming more and more prevalent and though there is still some mystery to it, selecting a provider that has lots of experience delivering the solution makes solving the case easy and painless.